Slovenia, tucked into Central Europe, is a land of changing terrain, ranging from Mediterranean beaches to Alpine peaks to rolling hills. Contrary to popular belief, it is not part of the Communist bloc, which it split from in 1948. Many students head off to study in Slovenia for its economic, cultural and social environment. International business students experience emerging markets first-hand by witnessing its transformation from socialism to a player in Europe’s common market economy. Part of the European Union, Slovenia is wooing multinational companies and foreign investors. 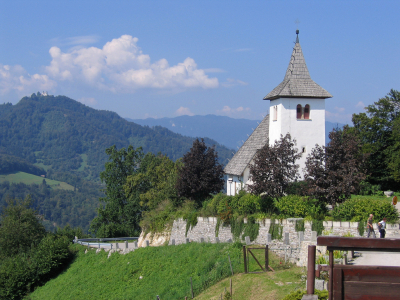 Students also are drawn to Slovenia to learn the language and experience the culture and flavor of the country. Benjamin A. Gilman International Scholarships are provided by the federal government and awarded to disadvantaged students who otherwise would not be able to afford to study abroad. More than 2,300 scholarships of up to $5,000 annually are given for study programs around the globe, including Slovenia. The Gilman Scholarship Program aims to support students who have been traditionally under-represented in study abroad, including but not limited to, students with high financial need, community college students, students in under-represented fields such as the sciences and engineering, students with diverse ethnic backgrounds, and students with disabilities. Applicants for the program must be federal Pell Grant recipients. Other criteria for acceptance includes being in good academic standing and a commitment to study in one country for at least four weeks. The Fulbright Program offers grants for American students and scholars to study in Slovenia. Full-year awards are available for students to carry out independent or doctoral dissertation research. Lecturer and research grants and specialist grants are offered for U.S. faculty and professionals with support provided by Slovenian host institutions. The Individual Advanced Research Opportunities Fellowships are earmarked for graduate students. Candidates must be pursuing a well-defined research proposal directly related to foreign policy research or related international affairs. Awards range from for a minimum of two months and a maximum of nine months. Participants are provided with visa assistance, international round-trip transportation, a monthly allowance for housing and living expenses. Short-term Travel Fellowships are awarded to post-graduate and post-doctoral degree holders for a stint in Slovenia lasting up to eight weeks. Candidates must be motivated and have a targeted research proposal. They may not be in a degree program at time of application. Every two years, the Institute of Current World Affairs offers two-year fellowships for self-designed, independent study abroad, but they explicitly are not awarded to support work toward academic degrees, writing a book, or for research projects. Candidates may seek fellowships in any country. The John O. Crane Memorial Fellowship has a focus on Central and Eastern Europe. Qualified candidates must be freethinkers and highly motivated. They must be fluent in the language of their destination, and have a good command of the English language for writing monthly newsletters. The ideal project is one in which there exists a great potential to impact society. These fellowships provide full financial support for its fellows and their immediate families. Twelve Atlantic Coast Conference colleges and universities united to form the Inter-Institutional Academic Collaborative (ACCIAC) with the goal of offering students a more cohesive and generous scholarship program for particular summer study abroad programs. Each university receives $12,500 to award between two and five ACCIAC Creativity & Innovation Fellowships annually. Fellows are chosen based on originality, creativity, innovation, experimentation and intellectual risk. Projects supported may include team activities or individual projects, multi-university ventures, artistic endeavors, videos, and creative projects abroad. Students at participating institutions may apply for the IAC Scholarship to the University of Ljubljana, Slovenia. However, each participating university has its own criteria and area of interest, so refer to your university’s ACCIAC advisory committee representative. Applications are reviewed for academic standing, current financial aid and an essay.